We are so grateful to our 2018 sponsors! ME Miller Tire has been a long standing supporter of the Fulton County Fair, most notably the NTPA Tractor Pull. Thank you for your sustaining support. Miller Tire is a family-owned business established in 1970. Not only do we provide tires for your car, truck, ATV, mower, and more, we have the largest selection of tires in the USA for your antique tractor restoration! 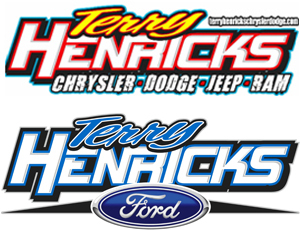 Terry Henricks Ford & Chrysler Dodge Jeep Ram, has been a faithful, long-time supporter of the Fulton County Fair. We appreciate your partnership year after year. Terry Henricks Ford & Chrysler Dodge Jeep Ram…the place where only your VEHICLE gets more attention than YOU! Offering an express lane, no appointment needed to get your oil & filter changed. First Federal Bank has been a part of the Wauseon community for over 50 years. Experience the difference of community banking and bank with the people you know and trust. Stapleton Insurance, Swanton, joined the ranks of top sponsors in 2014 and since then has supported the Demolition Derby. Much thanks Stapleton Insurance. Founded in 1927, Stapleton Insurance Group has become the region’s leader in property/casualty and employee benefit risk management. Our team of experienced agents are adept at helping our clients manage and transfer their exposure to loss.